I have 3 cool new programs to tell you about. According to their website, Blab.im is: a place to watch, join, and interact with live conversations about the topics that matter most to you. I’ve participated in a few Blabs and I am VERY rusty. But practice makes perfect. Click here to follow me! My user name is CrystalH8725. Think live streaming of whatever you are doing. I’ve scoped a few of my Insanity workouts. My latest ‘scoope included tips for listing items on eBay. The only thing with your scopes is that they expire after 24 hours. Which is a perfect time to introduce Katch.me. Katch records your Periscope streams to the cloud. No need to cry if you miss any of my ‘scopes because you can catch them on Katch! All services are linked thru your twitter account. No you don’t need a twitter account to view scopes or participate in Blab. Do you have any cool new tools to share with the class? We’d love to hear about them in the comments below! 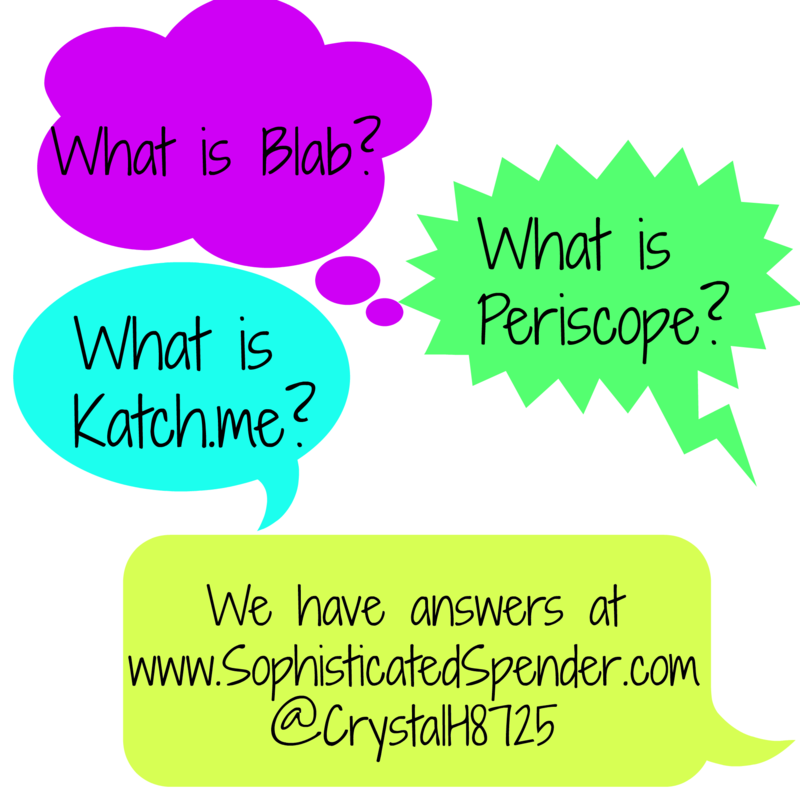 Are you on Blab, Periscope or Katch? Please drop your username below! I’ve been hearing a lot about periscope but the others are new to me. I’ll be looking into them! Yes! Check them out and let me know your username!! !